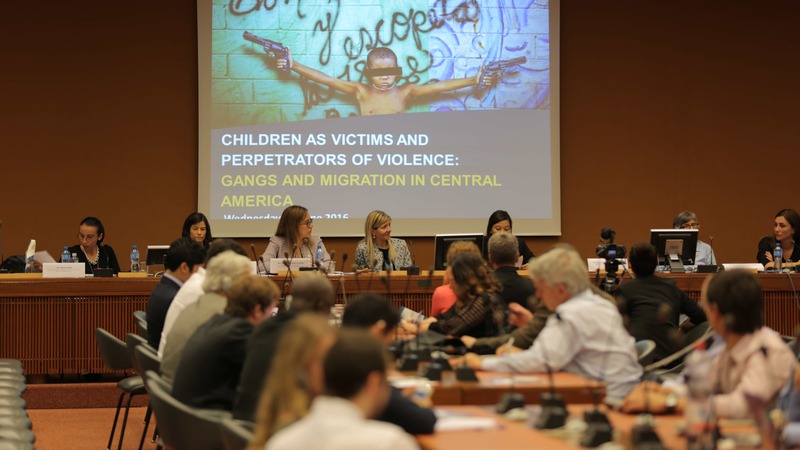 On the 22nd of June, a side event entitled “Children as Victims and Perpetrators of Violence: Gangs and Migration in Central America” took place at the Palais des Nations in conjunction with the 32nd Session of the UN Human Rights Council. 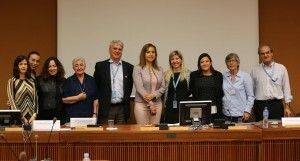 The event was organized b y the International Catholic Center of Geneva (CCIG) in collaboration with Edmund Rice International (ERI), the Marist International Solidarity Foundation (FMSI), and the Permanent Mission of the Republic of El Salvador. As the last phase of a larger project aimed at reinforcing civil society’s efforts in favor of children’s rights in Latin and Central America, the event assembled State representatives, UN experts, and a handful of NGOs to discuss the extreme challenges children in the region face related to criminal groups, violence, and migration. Recent studies have found that in Latin America and the Caribbean homicide rates of people under 25 are the highest in the world. In these regions, children who suffer neglect or violence are easy targets for gang recruitment. Once involved with a criminal group, children can be tasked with anything from the smuggling of drugs or arms to murder. Due to this climate of violence, many unaccompanied minors are fleeing Central America, often through dangerous means, making them more vulnerable to human rights violations and further violence. Moderated by the H. E. Ms. Carmen Elena Castillo, Deputy Ambassador of El Salvador at the UN, the panel was composed of three local children’s rights defenders, namely Ms. Ana Myrella Saadeh Rivera, Ms. Viara Isabel Sequira Orozco, and Ms. Liliam Mejia, who shared their experiences in Guatemala, Nicaragua and Honduras respectively. Last to take the floor, Ms. Monica Nascimento e Silva, a Human Rights Officer at OHCHR and a panelist at the event, cited the repressive effect law enforcement and justice systems often have in these countries and their failure to provide the necessary protections and support for children victims. Following the panelists’ presentations, States’ representatives from El Salvador, Honduras and Nicaragua also participated in the debate and asserted their willingness to work alongside NGOs in the field to find comprehensive solutions to the complex problems faced by children in the countries they represent. To read the full report on the event, including links to panelists’ presentation, click here for English, or click here for Spanish. Click to read relevant articles from PAMI (Guatemala) and Casa Allianza (Nicaragua). 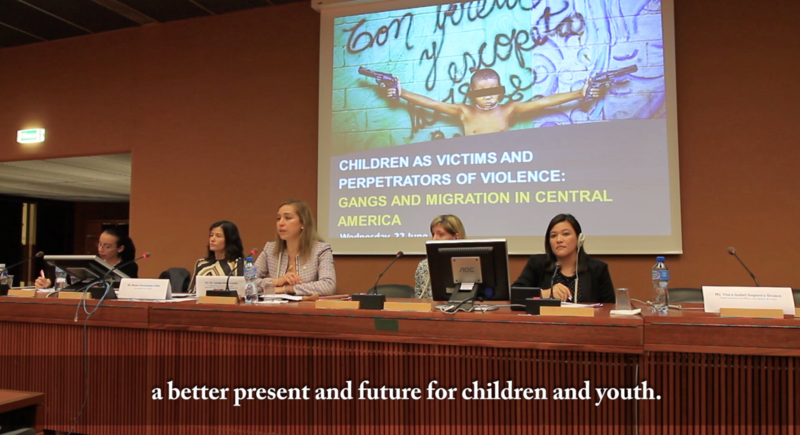 A short video of CCIG’s training session of children’s rights defenders in Guatemala is also available here. To access an article on the event, disseminated by Edmund Rice International in its July 2016 newsletter, click here. 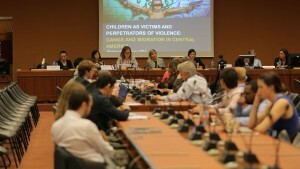 No Comments to "CCIG Hosts Side Event on Children and Violence in Central America"